Garrett's SUPERSCANNER is a World Renowned Hand-Held Metal Detector. Trust the original, patented design the most recognized handheld metal detector in the world. The industry leader for more than 25 years, the SuperScanner is backed by ongoing state-of-the-art Garrett engineering. Ultimate sensitivity: detects medium sized pistol from 9" distance large knife from 6" razor blades and box cutters from 3" distance foil-wrapped drugs and tiny jewelry from 1". Large 8" scan surface for quick, thorough scanning. Three-color LED indication: Green LED indicates ON Amber LED indicates LOW BATTERY: Red LED indicates ALARM Sharp audible alarm and bright red LED indicates the detection of metal. The TACTICAL HAND-HELD METAL DETECTOR (THD) is the most rugged, compact metal detector on the market. Has a silent vibrating alarm indicator. The THD is the perfect metal detector. Ultra sensitive response to metal objects. For all law enforcement operations. It is also particularly effective for use in schools, bars and clubs, and for corporate security. 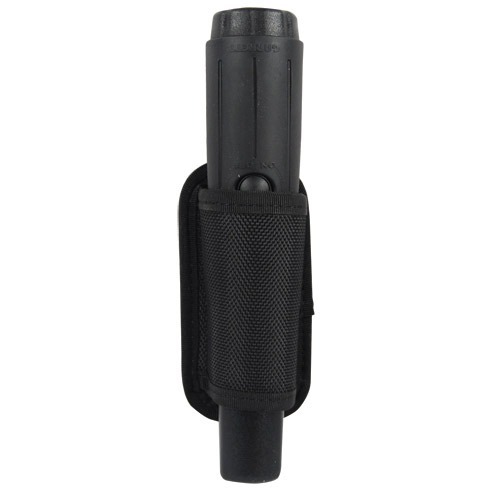 Built-in flashlight is ideal for law enforcement and night operations. Highly-sensitive - Powerful 4� length, 360� detection area. Accurate detection of all ferrous, non-ferrous and stainless steel weapons, contraband and other metallic objects. Does not require adjustments. Sealed water-resistant construction. Meets IEC 529 IP66 standards. High impact case with molded rubber, weatherproof grip. Exceeds Mil-Std-810F (drop test) Method 516.5, procedures II. Easy ON / OFF battery cover. 9V battery (included) operation. The CSI PRO-POINTER Pinpointing Metal Detector speeds the search and recovery efforts of crime scene evidence. This highlyvsensitive pinpointer has both audible and vibrating alarms and requires no tuning. Proportional audible and vibrating alarms increase in intensity based on target�s proximity to quickly pinpoint weapons, shell casings, projectiles and crime scene evidence. Runs on a 9 volt battery (included). Find evidence faster! Static detection (no motion required) speeds target recovery. Automatically adjusts - Microprocessor circuitry ensures maximum sensitivity with no tuning necessary. Pinpointing tip and 360� side scanning capability in one pinpointer. Scan with the side of the detector to quickly cover an area, then use the tip to precisely pinpoint the target. Garrett-proven quality - Brought to you by the manufacturer of the CSI 250+ ground search metal detector for law enforcement. LED flashlight assists in low light recoveries. Woven belt holster included to secure CSI PRO-POINTER+ to standard size belts. Search walls and tight spaces for hidden items, find metal pipes in walls or nails in drywall to locate studs, check wood for nails before cutting with expensive tools. Scraping blade to sift through soil. Water resistant - can be washed in running water or used in the rain. The SUPERWAND has a 360� detection field provides uniform sensitivity and tip pinpointing to detect weapons and other metal objects with extreme accuracy. From U.S. airports to sporting events, the lightweight SuperWand is the hand-held of choice for today�s security screener. Highvolume screening detector with versatile dual alarm mode which allows audible or silent search. Optimum sensitivity: detects ferrous, non-ferrous and stainless steel weapons, contraband and other metal objects. Elongated profile provides 8.75� scan area 360� detection coverage plus tip pinpointing for easy scanning from head to foot. Easy and convenient to use with one-touch button and three-color LED lights. Green LED light indicates ON; Amber LED indicates LOW BATTERY: Red LED indicates ALARM. Power switch and LEDs positioned for easy access and high visibility.